RentCarSingapore: What are the Steps to Rent a Car? What are the Steps to Rent a Car? A few years ago, people relied on public transport as their primary mode of transportation. They used trains, taxis, and public buses to travel from one point to the other. There has been a recent popularization of cars as the preferred mode of transport. Benefits of traveling by car range from convenience to comfort. Besides avoiding the hustles of public transportation, you have more independence and mobility. We will discuss the benefits later in the article. But what happens when you do not own a car? It is for this reason that many car rental companies have come up to meet the growing demand. Many websites give conflicting information about this matter, which further confuses readers. This can make deciding on the best car rental company an uphill task. Newbies find themselves in an awkward position because they do not know the procedure. Renting a car for the first time can prove to be a daunting experience. Putting together insurance options, hidden surcharges and mileage policies can make you opt for other means of transport. 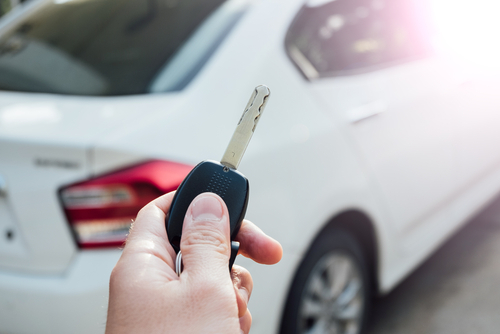 Worry no more; this article will tell you everything you need to know about the steps to follow when renting a car and what to avoid. Let us worry about giving you the required information while you enjoy a smooth ride in your rented car. Before you rent a car, you first need to know if you are qualified. Let us first have a look at the requirements that you need to meet to be eligible for renting a car. include deposit. Select vehicles are unavailable to customers under 21 years. • You must have a valid driver’s license and an ID or Passport. The license must be issued by the renter’s state or residence and is examined at the time of vehicle renting. Learner’ permits, temporary licenses and copies of original driver’s licenses are not allowed. • You need to possess an active major credit card like Visa and MasterCard in your name at the time of rental or meet the company’s cash qualification requirements. The credit card should have available enough credit. For cash payments, customers may be required to provide additional documents like personal references and proof of insurance before issuance of the rental car. • You have an obligation to leave a deposit when renting your vehicle in addition to the cost of car rental amount. The deposit depends on the class of the car. • The deposit is refundable once you have returned the car to the rental company in the same condition. If not, damages have to be ruled out by calculating the cost of repair and debiting the deposit. • Additional renters like drivers must be present at the rental counter. They need to show a valid driver’s license, pay an additional driver fee and have a major credit card. Special circumstances where renters are not subjected to additional driver fees include mobility impaired renters and spouses or domestic partners. Planning when you intend to use a car rental service for traveling purposes like holiday is much recommended. Last moment rushes are risky and costlier. Just imagine going on a dream vacation and having to use public means of transport just because you failed to book a car in time, pretty embarrassing right? If you are lucky enough to get a car, you may fail to get that car you have always wanted. Waiting too long to make a reservation can make you end up in such tricky situations. Your car of preference will no longer be available when you need it most. Note that car rental companies work on first come, first served basis. There are probably other people waiting in line looking to rent the same car at the same time as you. Start shopping for a rental car after you have purchased your airline tickets. By doing this, you can easily coordinate pickup and drop-off times. The earlier you make reservations, the cheaper it will be for you. state. Most countries permit using your own country’s driving license to rent a car as long as it is valid. If you are going to a country with restrictions, get yourself an International Driver’s license or permit. Price is calculated by the number of days. Most companies have a minimum rental period of one day. People who rent for longer periods pay less per day. Always work within your budget. Do your homework and compare prices thoroughly. Agencies classify cars according to classes with each car class having specific costs. Go through the contract and beware of hidden charges. Many travelers have complained in the past on how they had to pay extra charges that they had not budgeted for. Most rental companies do not disclose all fees online. This includes insurance and taxes. 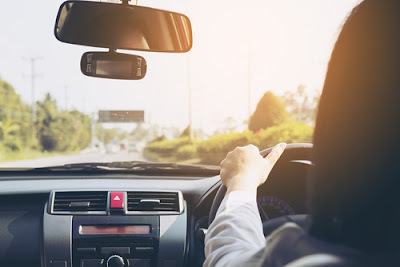 Take into consideration crucial things that may increase prices like child car seats, insurance, GPS navigation system, upgrades and policy on returns. In some cases, these unexpected fees can double before you even know it. Take advantage of discounts and other offers that may give you great deals. Be careful not to be overcharged by unscrupulous car rental agencies. Major credit card companies offer travel insurance. They cover car rentals sometimes. Make sure you confirm with your preferred car rental on the coverage of those policies in the areas you plan to visit. This can significantly save you money. If they offer insurance policy, pay for it as accidents happen at any given time. You may be the next victim. If it unfortunately happens to you, you would rather be covered. paperwork. 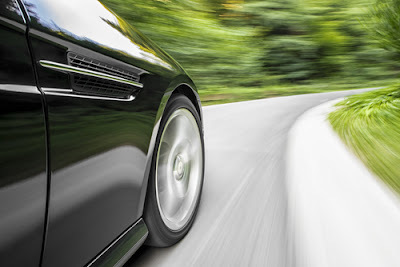 If the damage appears to be significant, it may be wise to request for a different car. When you have a car that meets all the requirements, drive and enjoy your trip! • Before signing off, check whether basic functionalities like the air conditioning and power windows are working. • Most rental companies have a small window of time, usually an hour for late returns, after which they can charge you a full day rental. If you are running late, call them to arrange an extension. • When driving away from the rental agency, observe the local gas stations nearby. The purpose of returning to the best priced or most easily accessible gas station at the expiry of your rental period is to save you money. This is because you have to return the car with a full fuel tank, failure to which you will be subjected to additional charges. • Always confirm with your insurance company directly before taking any coverage. Do not pay for what you already have. Email or call your insurer to find out. • Inquire and receive offers for upgrades. 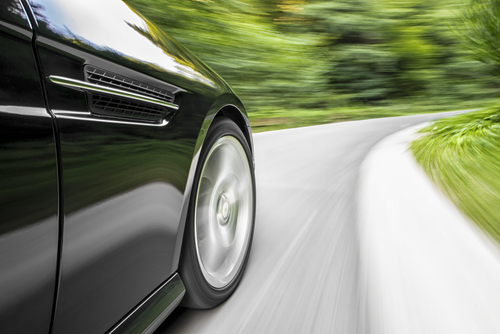 You may be lucky to get yourself a much improved rental car with small additional costs. • When you return the car, have an agent check it over in your presence to avoid disputes over damage claims. Do not let it be your word against theirs. • Cars can travel to remote areas that lack reliable means of transport. • Traveling by car gives you ample space to relax. • With a car, you can travel with your favorite people and enjoy great company. • Car rentals are cost effective especially when you travel in groups. • The flexibility of cars allows you to be spontaneous and make stopovers wherever you want. Renting a car can be expensive, but more often than not necessary. When you think of all the good things that come with renting a car, the cost is much more bearable.